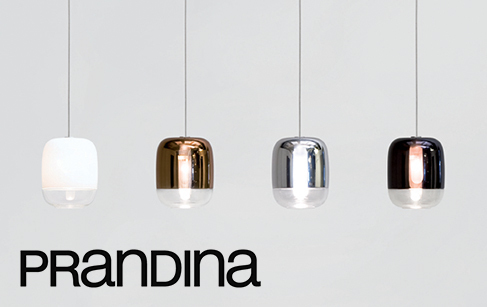 Prandina is an Italian brand who started in the interior lighting design industry in 1982. Since the outset Prandina’s creative philosophy has fulfilled criteria of simplicity and formal precision, functionality and lasting quality, that has enabled the brand to gain a recognised position in the international market. Oriented toward effective and recognisable lamps, Prandina believes in productive teamwork in synergy with established and emerging designers, both from Italy and abroad, looking for new ideas in lighting, and breaking with the current trends and conventions. From glass manufacturing experience, Prandina has recently developing projects and products with the use of different materials. Production is implemented with top quality executions, materials and finishing. Also, great care is paid to representing the brand identity seen in the organisation of the workplace, the meticulous attention to company graphics, product packaging, display preparations and customer communication support.